How fun is this cake?! 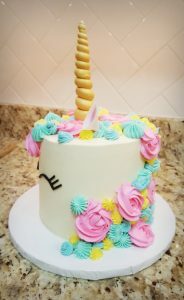 I don’t know about you, but I am seeing unicorn and rainbow themed food everywhere all over social media. From milkshakes and cupcakes to pretzel rods and macarons, it’s all about unicorns. 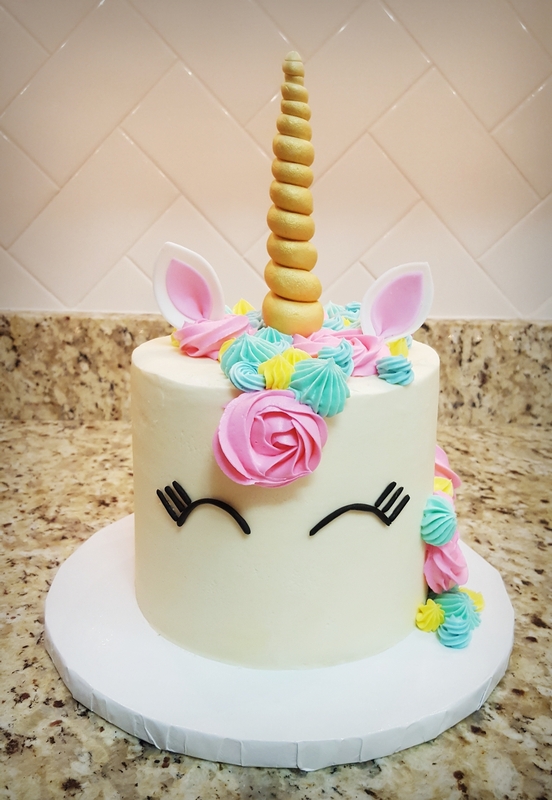 This unicorn cake has become super trendy and it’s easy to see why-it’s colorful, sweet, whimsical, and just plain adorable! Can’t you just see it as the centerpiece at a girl’s birthday party? Young girls to teens would go crazy over it. Who am I kidding? Grown women are going crazy over it! I really hope that this is not the last unicorn cake that I get to create! I do mostly wedding cakes now, but I do make the occasional birthday cake 🙂 If you’re still interested, please fill out the contact form and I will get back to you shortly! Four Oaks Bakery aims to enhance your celebration with some the most delicious cake that you and your guests have ever tasted, all wrapped up in a beautifully modern design. Greensburg, Latrobe, Indiana, Uniontown, Pittsburgh, and surrounding areas. Copyright © 2018 Created by Page & Pixel Design Co.